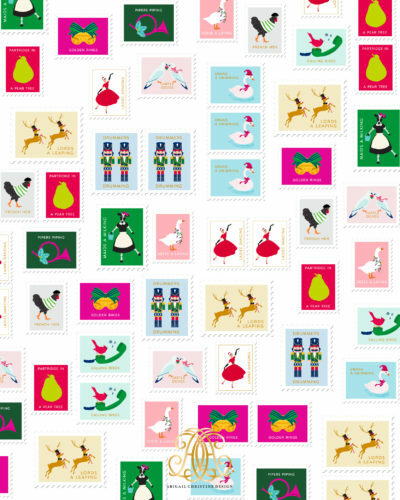 Our 12 Days Christmas sheets of gift wrap are meant to be as unique and special as the event you are celebrating. Our custom Abigail Christine Design pattern was created not only for wrapping, but is perfect for decorating a room or project or even as drawer liners! If looking for larger quantities, please Contact Us, and we will be more than happy to help! © Abigail Christine Design | All Rights Reserved | Website Development by Get Sharp, Inc.